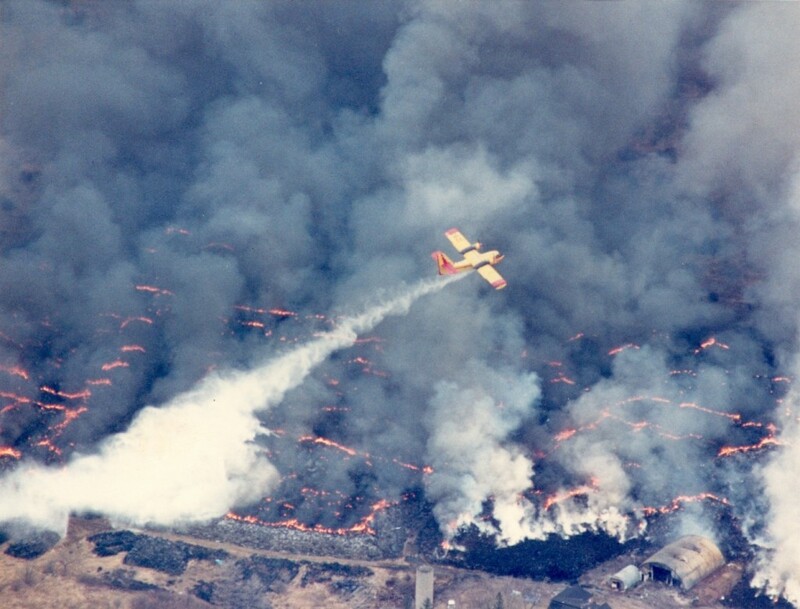 A water bomber attacks the fire a few days after the blaze began. Feb. 14, 1990. Hamilton Spectator archives. 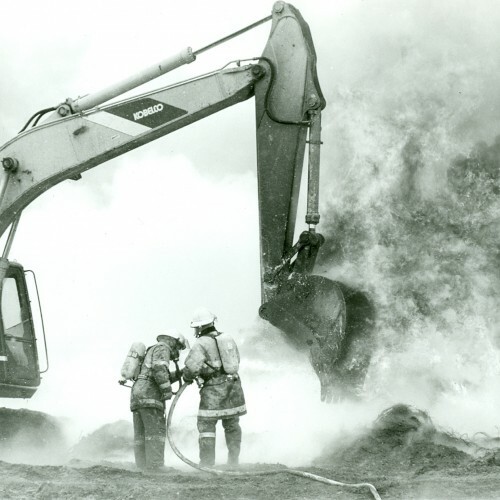 The Hagersville tire fire burned for 17 days from the early morning hours of Feb. 12, 1990, making headlines around the world. 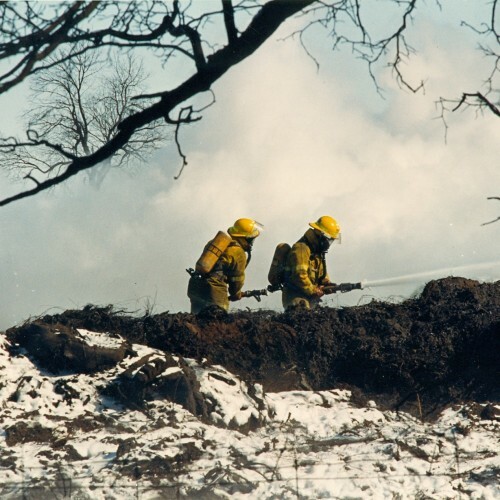 Bringing it under control took huge effort, including the use of two waterbombers normally used to fight forest fires. The fire covered an area the size of 18 football fields. 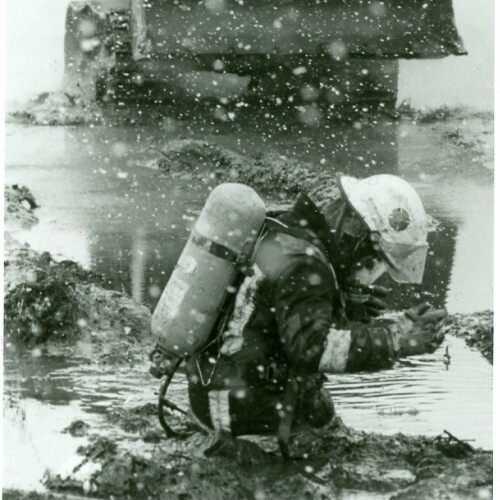 Firefighters used 350 bottles of air a day. Spec Archives. 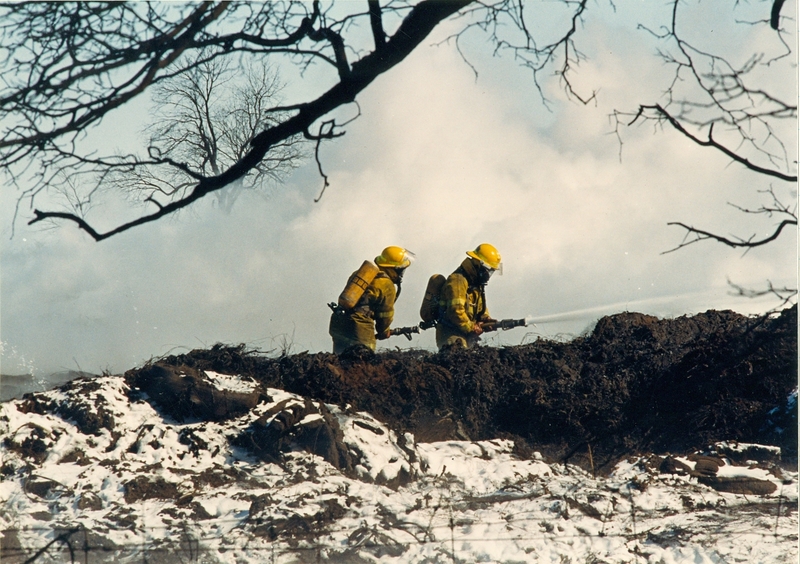 Ontario’s top forest fire fighters helped bring the fire under control. Paul Hourigan, Hamilton Spectator. 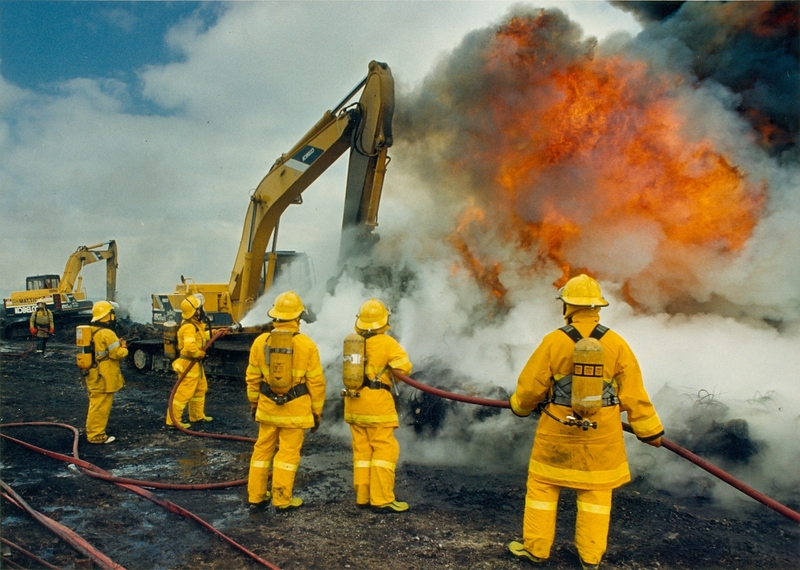 The fire scene soon turned into an oily sucking guagmire. Spec Archives. 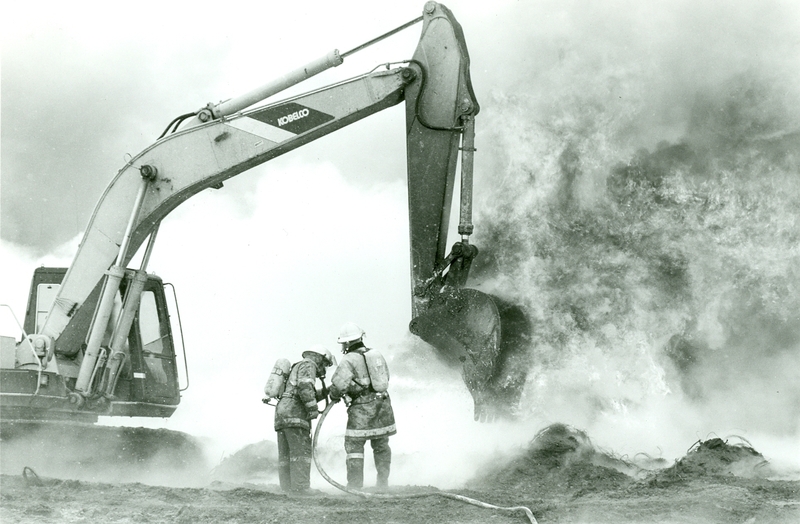 Spraying a mixture of foam and water helped suppress fire and kept down contaminants. Feb. 26, 1990. Spec Archives. 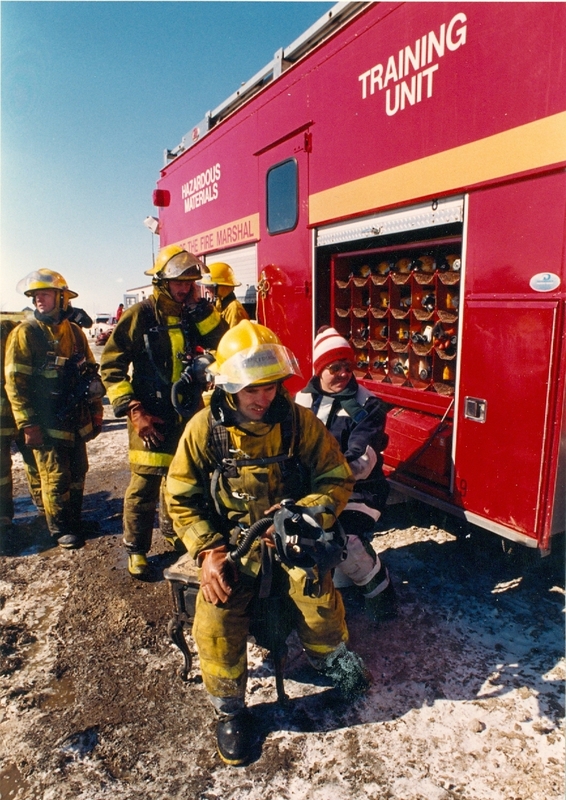 All kinds of equipment was used. Spec Archives.